Bank feeds are convenient as they automatically fetch your transactions and import them into PocketSmith for you. 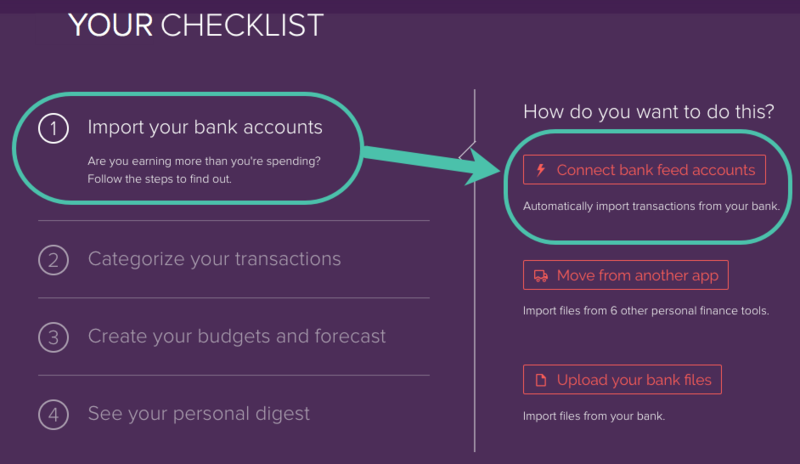 Add your online bank accounts to PocketSmith with a bank feed to automate the importing of your transactions! If you have just signed up to PocketSmith, you will be introduced to your Checklist. From here, you can add bank feeds and set up new bank accounts. You can also add new bank feeds once you're already set up in PocketSmith on the Account Summary page. If your bank feed is one of our "Most used" bank feeds, we'll display this for you. If this is the bank feed you'd like to add, select Add bank feed (jump to step 7). If you don't see your bank, click See all search results. If your bank feed isn't one of our "Most used" list, or you selected See all search results, PocketSmith will display a list of all matching bank feeds for your country. 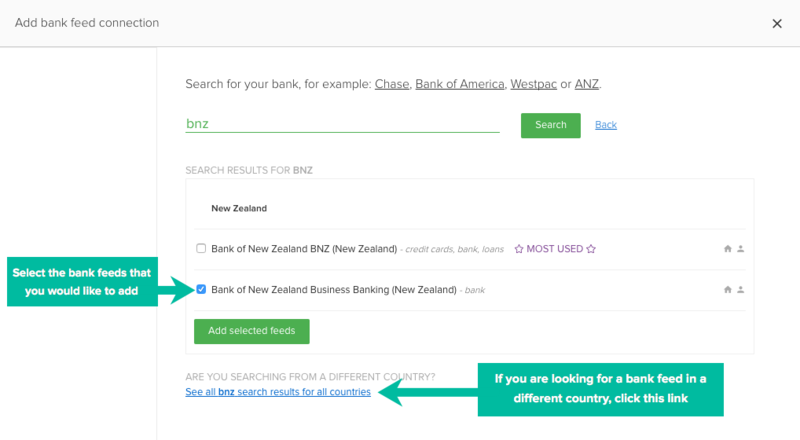 If you are searching for a bank that is from a different country, click See all search results for all countries. 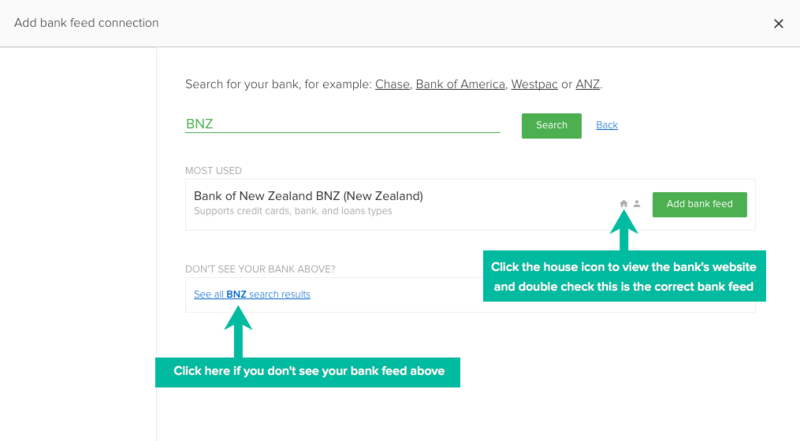 If you are not sure whether one of the bank feeds shown is the the one you are looking for, click the house or mouse icon to see if the listed website URL. Select the account types you hold with that bank (credit cards, banking, loans etc). For example, if you don't have any loan accounts, unselect Loans from the list. Ensure that the bank feed credential form isn’t being auto-filled by your browser, or a password manager. If the wrong credentials are sent repeatedly, you could get you locked out of your online banking site. You'll know the sync has been successful when it's status changes to Synced. If you get a connection issue, try syncing the feed a couple more times. Click the drop-down arrow on the account with the connection issue and click Try again. If issues persist, check the list of known issues here, or get in touch with us! 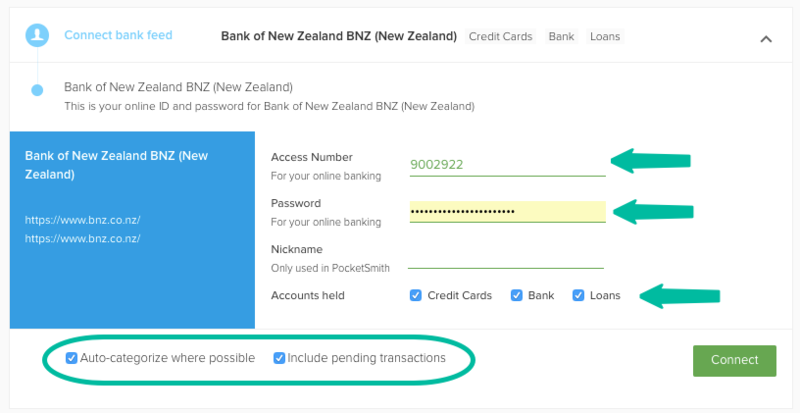 Once your bank feed is synced in PocketSmith, you will see a list of the accounts available to the bank feed within the Ready to connect section - it's time to connect these accounts into your PocketSmith! If you're new to PocketSmith, you'll need to create new accounts within PocketSmith for each of your imported bank accounts. If you're already set up in PocketSmith, you also have the option to connect recently imported accounts to any of your existing accounts in PocketSmith. Balance: select the balance option that suits you. 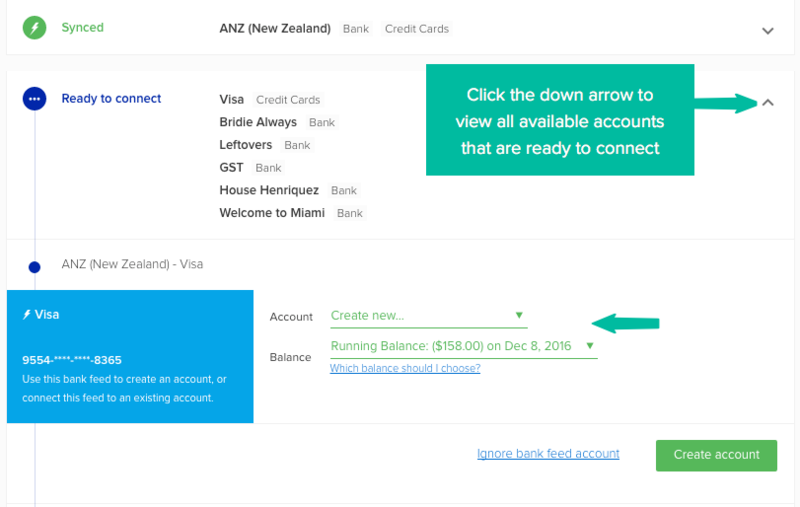 For accounts you don't want to connect, select Ignore bank feed account at the bottom of the form. Doing this will hide the account from appearing on your Account Summary. After you set up a bank feed, some of your accounts may take a while longer to appear in PocketSmith than others. Generally, all accounts will complete their syncing within 10 minutes. However if you find that you are still missing accounts after 24 hours, get in touch with us and we'll investigate the issue.